Initially designed to have a body of water, this dry rock garden a part of a tea garden ended up being a river rock pebble stream and gravel pond. ABOVE: This small covered structure is called a Komiachi Machai or “waiting area” in Japanese. The waiting area is part of the experience of strolling through a Tea Garden prior to entering the formal Tea House where the Tea Master conducts the tea ceremony. The Roji or pathway is a key component that leads from the entrance and throughout the garden allowing guests to quiet their minds. BELOW: This dry rock garden stone arrangement was designed and situated to be viewed from the Tea House. The river rock stones mimic the beach shoreline while the stone represent mountainous island landforms in the ocean. 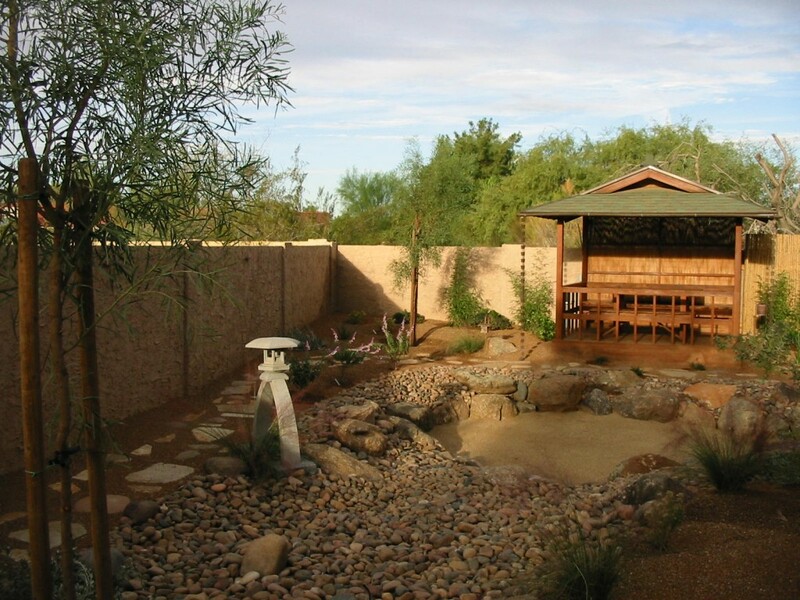 The gravel can be raked to simulate waves on the water and provide an interactive form of meditation. 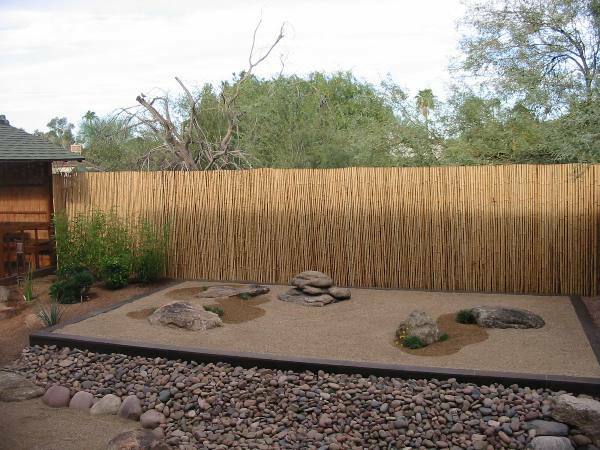 A bamboo fence was used as a backdrop to simplify the view and be more conducive for meditation.